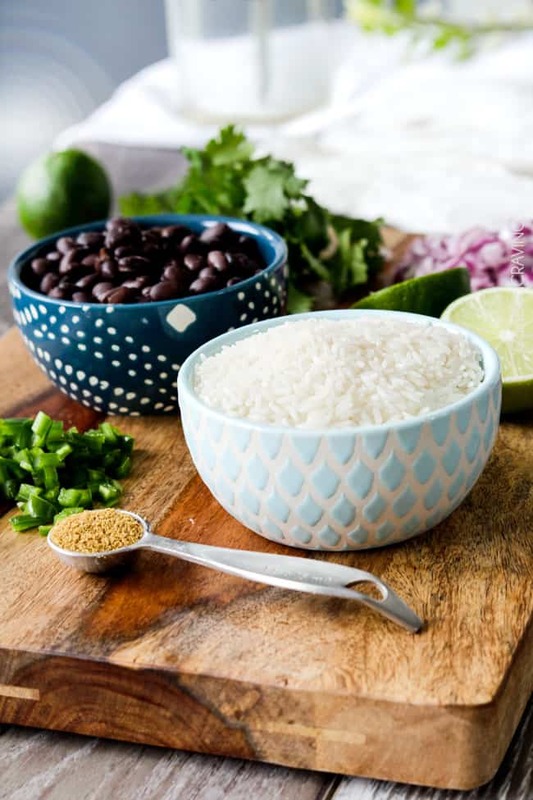 Learn how to make the Best cilantro lime rice – better than Chipotle’s and better than Cafe Rio on the stove top OR your in your rice cooker! 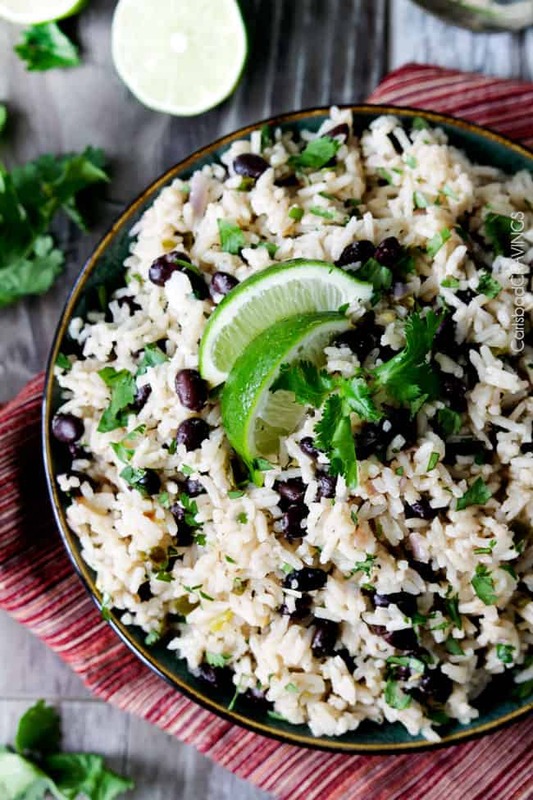 This Cilantro Lime Rice is easy to make and I’ve even included directions for stove top or rice cooker so you can use white or brown rice! 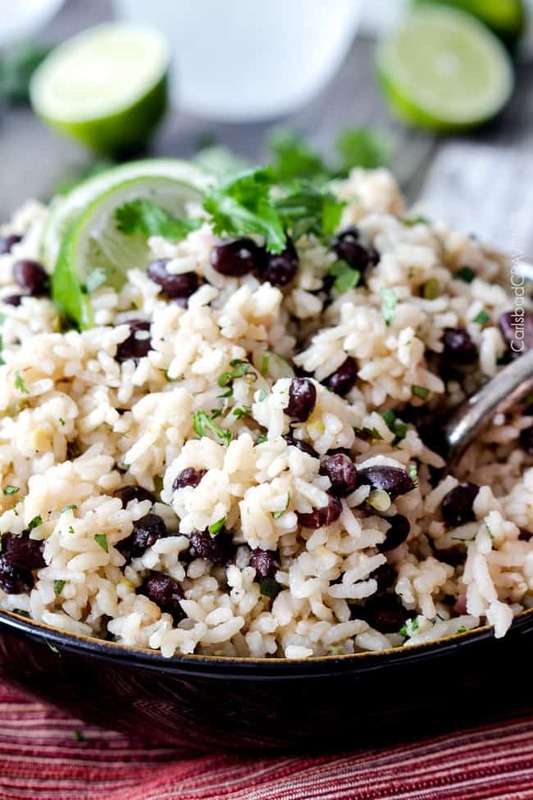 I’ve also included instructions so you can make this Cilantro Lime Rice Recipe with black beans at the same time (two sides in one!). 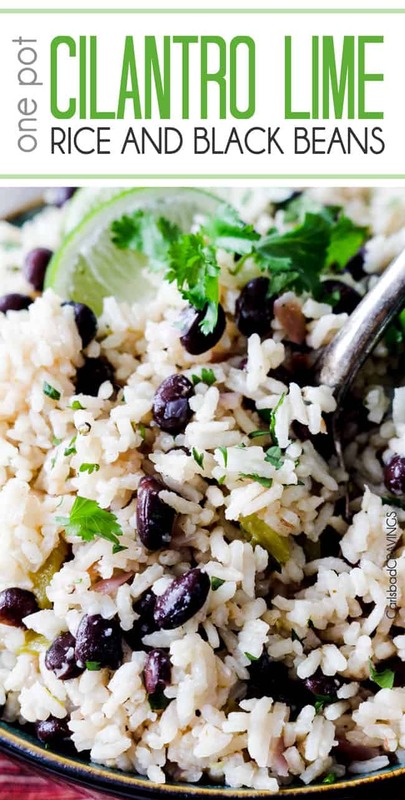 This Cilantro Lime Rice is an easy to make and is the perfect side to all your Mexican dishes. 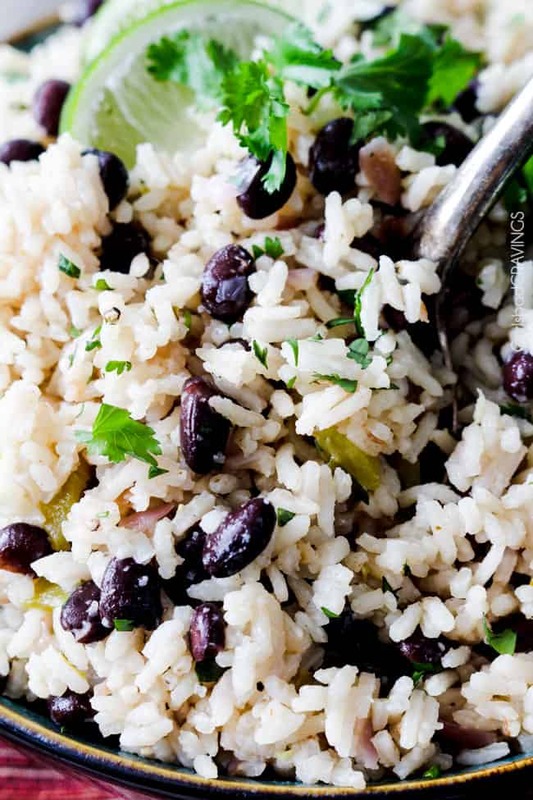 This Cilantro Lime Rice is simmered with jalapenos, green chilies and red onions spiked with cilantro and lime for the most satisfying Mexican rice you will want to serve with everything. Or with nothing because its ts cravilicious all by itself. Looking for more Mexican Sides Recipes? 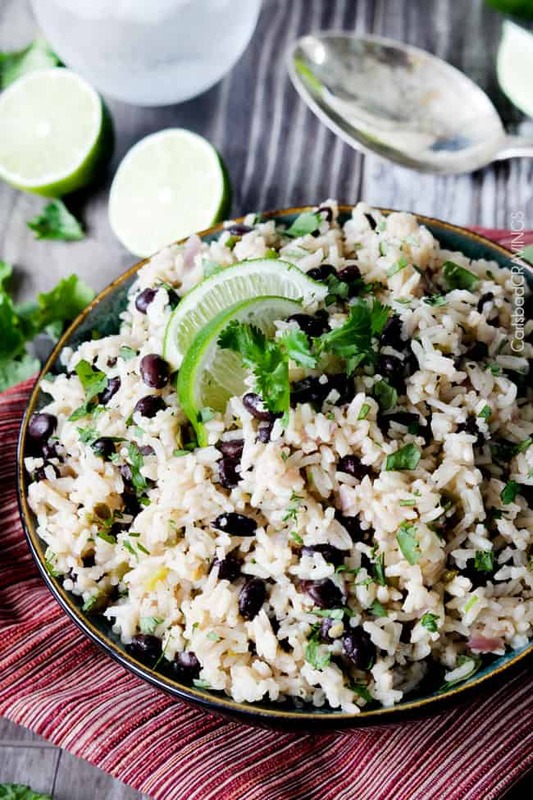 This Cilantro Lime Rice Recipe is delishified by the addition of black beans which cook right alongside the rice along with sauteed red onions, jalapenos, green chilies, garlic and a healthy dash of cumin. Even with the encore cast, this Cilantro Lime Rice recipe is flavorful without being overwhelming so it pairs perfectly with any tacos, enchiladas, burritos, etc. you are serving up and also makes the ideal side because it requires so little hands-on prep time, but adds a lot to the meal. And if you are feeling a little crazy, you can stir in some sour cream, avocados, salsa, and/or cheese. Lots of cheese. I must feel crazy a lot. I am often super lazy when it comes to making this rice, so I’ve included rice cooker instructions as well for a couldn’t-be-easier dump and run recipe. I love my rice cooker because you don’t have to babysit the rice and it comes out perfectly every single time. The only difference in Rice Cooker Version is we sub garlic cloves for garlic powder and red onion for onion powder, It also means you can use brown rice s well. Add avocado. I made a creamy avocado sauce in my Avocado Cilantro Lime Rice – gah – so good! Add other veggies. Corn, red bell peppers or zucchini would all be fabulous. Mix in cheese. You can do a little for a taste or a lo so it’s cheeeesy. Stir in sour cream. Sour cream makes it decadently creamy. I like to stir in cheese and sour cream. Gah, so good! Add chicken or steak. You can add some plain shredded rotisserie chicken, Crockpot Mexican Chicken or some chipotle chicken. For the steak, try some chopped up carne asada. This Pot Cilantro Lime Rice recipe is waiting for you to elevate every Mexican meal to even more drool worthy heights. If you love Mexican recipes, you’ll love my homemade salsa, salsa verde and churros! Looking for more Rice Recipes? 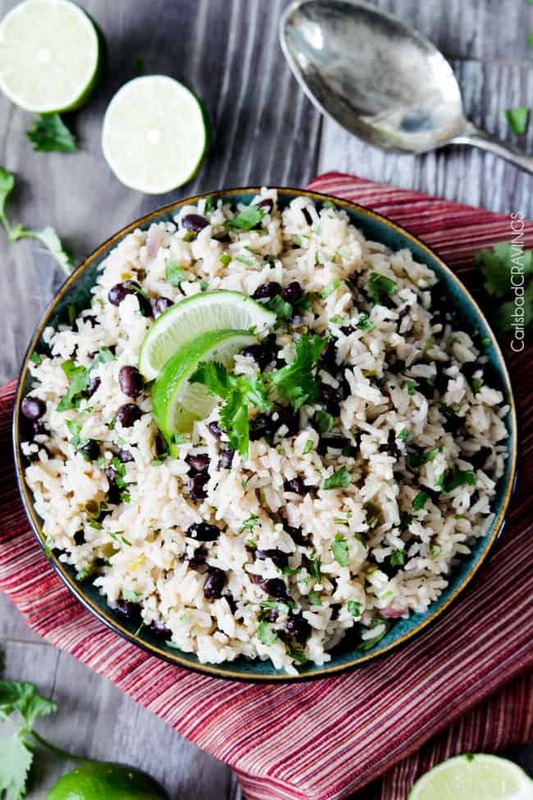 Learn how to make the Best cilantro lime rice - better than Chipotle's and better than Cafe Rio on the stove top OR your in your rice cooker! 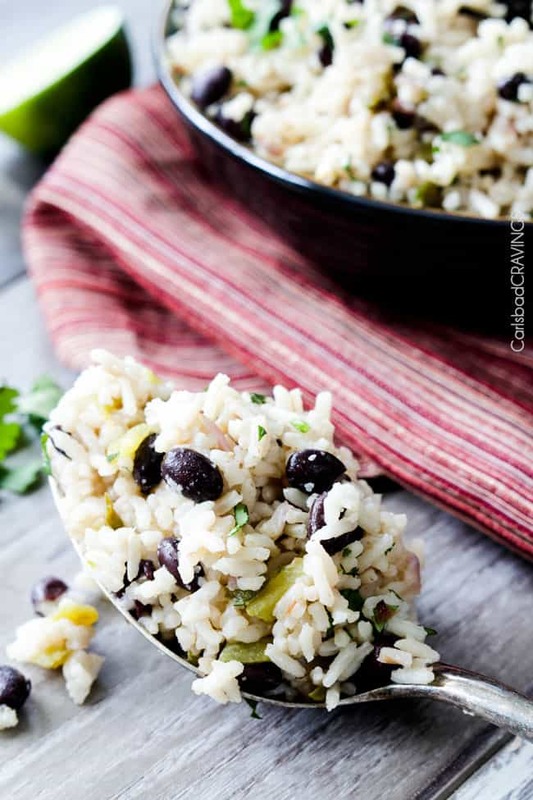 This Cilantro Lime Rice is easy to make and I've even included directions for stove top or slow cooker so you can use white or brown rice! Heat 2 tablespoons olive oil in a large nonstick skillet over medium heat. Add red onions and jalapenos saute 3-5 minutes or until tender. Add garlic and cumin and saute 30 more seconds (adding more oil beforehand if necessary). Add rice and saute for a few seconds. Add beans, green chilies and chicken broth and bring to a boil. Reduce heat to low (dial should be a little above lowest setting) and simmer, covered, for approximately 20 minutes or until rice is tender, stirring at 15 minutes. Remove from heat and let sit, covered, for 5 minutes. Stir in butter to melt (optional) and season with salt and pepper to taste. Stir in lime juice and cilantro. Set rice cooker to white or brown rice cook setting according to which rice you are using. Once rice is cooked, stir in butter to melt and season with salt and pepper to taste. Stir in 2 tablespoons lime juice and 1/2 cup loosely packed cilantro, chopped. ***Ingredients are for stovetop directions. I have included substitutions in the rice cooker recipe. 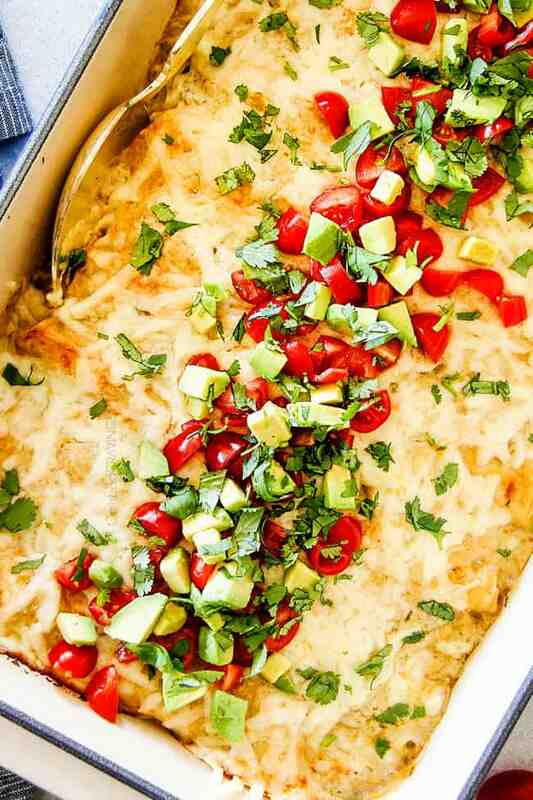 You can easily customize this rice by stirring in sour cream, cheese, etc. after cooking and garnishing with avocados, etc. You can also cook with a can of drained tomatoes. 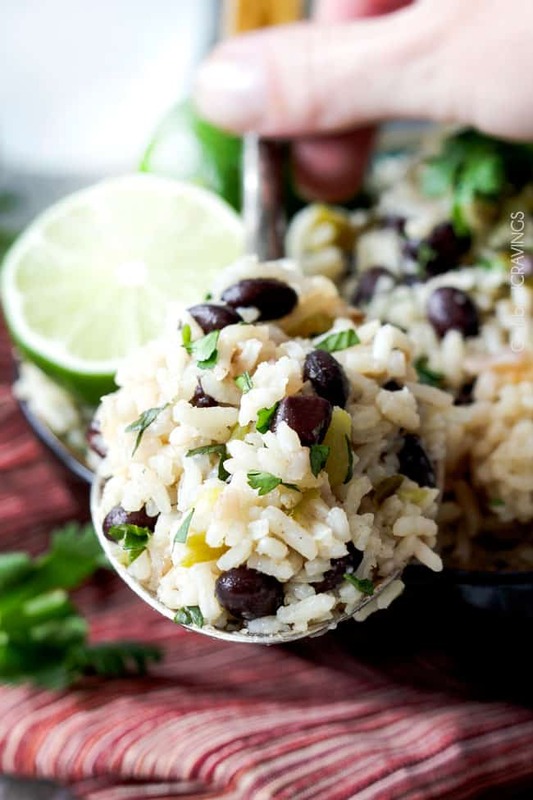 Want to try this Cilantro Lime Rice Recipe? 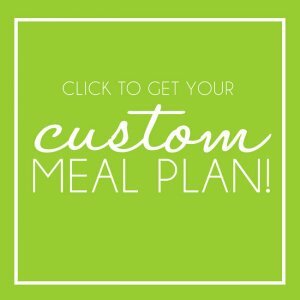 Pin it to your MEXICAN, RICE or DINNER BOARD to SAVE for later! Could you make this in a pressure cooker? Hi Julie! 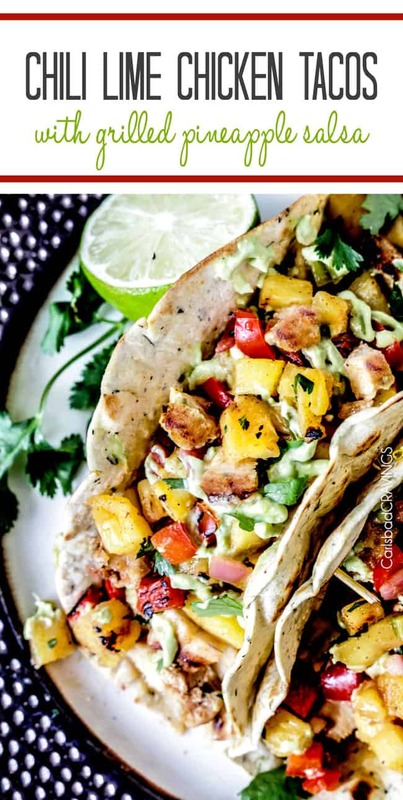 I am excited for you to make the Ranch Chicken Tacos! Unfortunately I am not familiar with pressure cooking so I can’t help you with that. Sorry! I just made this for dinner tonight and while I am obsessed with how it tastes, mine kind of looks like mush. I followed the directions to a tee! Any idea why the mush? 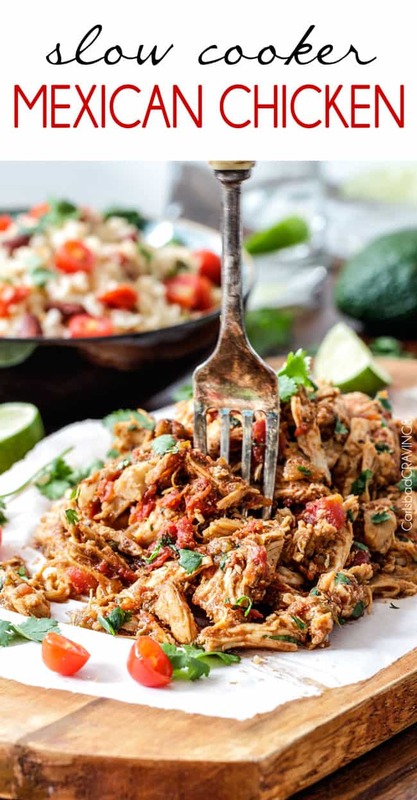 I am so glad to have found your site, your shredded mexican chicken is in the crock pot as we speak, I’ve made it once a week for the past month! Hi Ericka, that is awesome you have made my Mexican Chicken once a week for the past month! I am so glad you loved the flavors of this rice as well. As far as the texture goes, it just sounds like it was cooked a little too long. Stoves can definitely vary, so I would check it sooner for doneness and remove from heat when the rice is soft but not mushy. Hope this helps! This is an excellent rice side dish. Perfect balance of seasonings and textures. Instead of black beans, I had some leftover carrot corns that I diced and added to the rice. Very versatile rice recipe. So happy you enjoyed it Gail and I love your substitution of carrot corns – I wouldn’t have thought of that! yum! Has anyone tried making this in a rice cooker? Sounds delicious – can’t wait to try it with the chicken enchiladas I’m making this week! Hi Angela, you can definitely make in a rice cooker! I would just add the amount of broth your rice cooker specifies. You can also swap out the onion for onion powder and garlic for carlic powder but fresh would also still work. Enjoy! I so enjoy your website and thought it was time I left a message. I am not a big rice fan, but this is amazingly delicious! I have enjoyed every recipe I’ve made from your site. 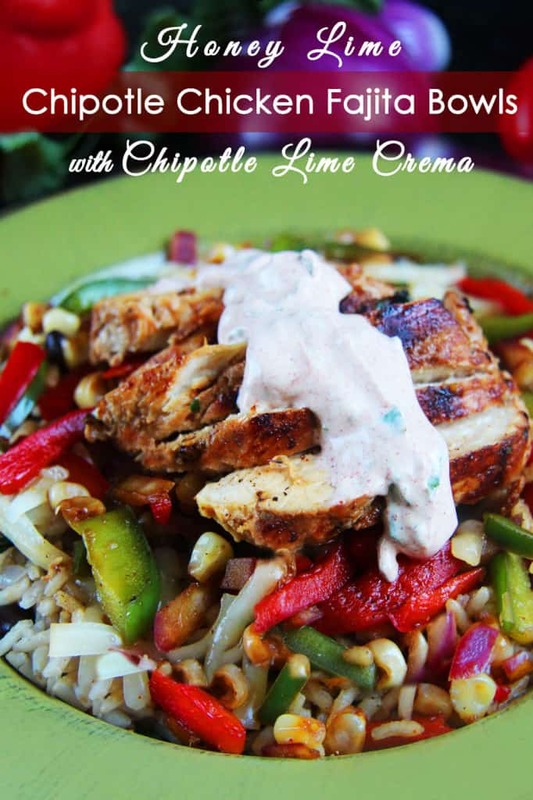 My boys love Chipotle and this is so much better than the rice recipe there! 5 Stars! Will be making this often. And you are a beautiful couple and I wish you all the best in love and life! Thank you so much Jane for leaving a comment, I really appreciate it! I love hearing that you have been enjoying my site and that you love this rice even more than Chipotle! Thank you also for the best wishes! All the best to you and yours as well! Can you make this a day before you plan to serve it? Hi Megan, I think rice is always best fresh because it dries out easily. If you have to make it ahead of time, then just plan on adding some additional butter, lime juice, cilantro to bring it back to life. This is really good rice to go with a mexican meal! I did not add the beans, as I cooked a big pot of beans separately. We enjoyed it, thanks! You are so welcome Angela, I’m so pleased you enjoyed it! Could I make this with quinoa instead of rice? If so, would i have to do anything differently? Hi Kristin, I’m sure you could make it with quinoa instead, Just follow the liquid ratio quinoa and everything else should be the same. Enjoy!